Joining the ranks of MMOs with vast game worlds Revelation Online is now available to North America and Europe after claiming a foot hold in the Asian market. With 6 detailed classes, your choice of control scheme and seamless connected world the foundations of Revelation Online promise a good MMO experience. Your first decision in your Revelation Online journey is picking from the 6 available classes which both offer female and male variants. Your choices include the Gunslinger who is a master of ranged single target damage, the Blade Master who offers a tanky melee fighter who can also play assassin, the Vanguard who fill the role of primary tanks with survival abilities and heavy defence, the Spiritshaper who play as the control and support class, the Swordmage that is the AOE magic damage champion of the game and the Occultist who can play the role of healer with life draining abilities and damage overtime. With your ideal class selected you’ll begin to make your way through the lengthy tutorial to help you fully grasp the mechanics that Revelation Online offers. These mechanics include the likes of 3 control styles from lock-on target to click to move and free aiming, giving players control over how they want to face the beasts of the game world. Other mechanics you’ll be introduced to include the open world with no end, flight and the instanced dungeons (5 or 10 players), raids (up to 20) and boss battles. On top of the healthy PvE scene PvP includes the usual array of activities with open world PvP, arenas for small skirmishes, battlegrounds for medium sized fights, guild battles for territory claims and castle sieges that blend PvE and PvP together. 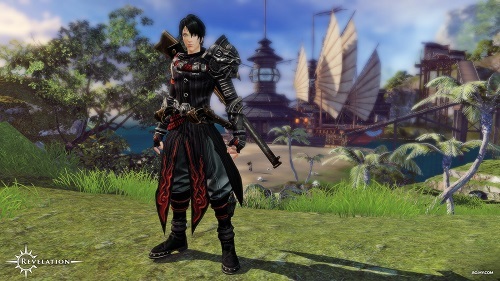 Revelation Online isn’t immune to issues that plague most MMOs with some graphically presentation issues as the game aims to look good across various computer systems. The other weakness of the game lies within the convoluted mechanics as the game tries to pack in all the features you want, but unfortunately comes off as disconnected and adds an extra barrier to new players. Despite this Revelation Online is still a recommend title especially once you get over the initial hump which is only slightly bigger than alternatives. Choose from 6 deadly classes. A complete open world with instanced dungeons. 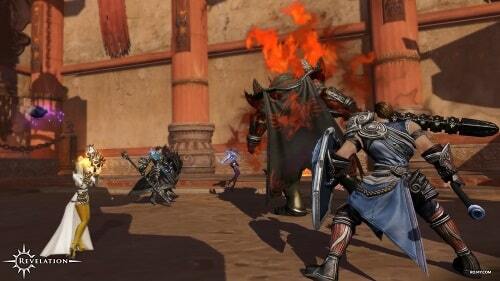 Choose from 3 MMO control schemes. Great balance of PvE and PvP mechanics. Fly around the world and use aerial only attacks.